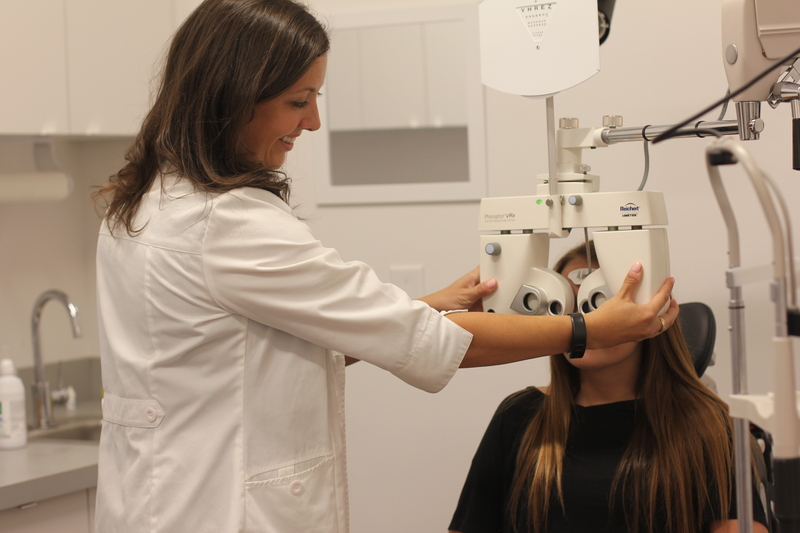 As your eye doctor in West Des Moines, Urban Eyecare and Eyewear is proud to offer a range of services for patients of all ages. Whether you're seeking treatment for glaucoma, corrective lenses for driving or treatment for an eye infection, we can help. Below are the many services that we can provide to our patients in West Des Moines. Eye functionality. We check our patient's eyes to ensure that they can perform normal functions like tracking moving objects and perceiving depth and color. Clear vision. We test our patient's eyes for refractive error. If we determine that a patient has unclear vision, we prescribe the best corrective lenses for their needs. Eye health. Our comprehensive eye exams test for presence of eye diseases. If we determine that you have an eye disease like glaucoma, macular degeneration or cataracts, we'll make recommendations for treatment and discuss your options. We also provide diabetic eye examinations! Patients who have diabetes are at risk for eye conditions that can cause blindness. Identifying early signs of eye disease can help save vision and prevent blindness. Glaucoma Testing and Treatment. Glaucoma can cause blindness if not treated properly. We can test our patients for glaucoma and when a patient is diagnosed, we can help treat their condition. OrthoK Contact Lenses. OrthoK contact lenses are designed to be worn at night, during which time the lens helps reshape the eye of the patient so they can see clearly the following day. LASIK Pre- and Post-Op Care. We offer pre and post-operative care to patients who undergo LASIK surgery to help ensure the success of their procedure. Cataract Evaluation, Pre- and Post-Op Care. We evaluate patients for catarats, then provide care before and after cataract surgery. Red Eye Treatment. We treat patients for eye infections and help ensure their comfort as they recover. For patients who undergo eye exams in West Des Moines and who are prescribed corrective lenses, we offer a range of options. We're proud to offer a range of services to help keep your eyes healthy and your vision clear. To make an appointment, contact us today at (515) 223-1000.